The Vancouver condo market continues to defy logic, as the average price per square foot jumped another 1.5% month over month, pushing the total increase to 13% this year. Perhaps even more concerning, total inventory plunged to it’s lowest totals in recent history, with just 849 active listings for sale. See last month’s Vancouver Condo Report. Vancouver condo sales increased 20% year over year. However, this is comparing it to last August when the market froze to a sudden announcement of a foreign buyers tax. Vancouver condo sales were still 15% above the ten year average. 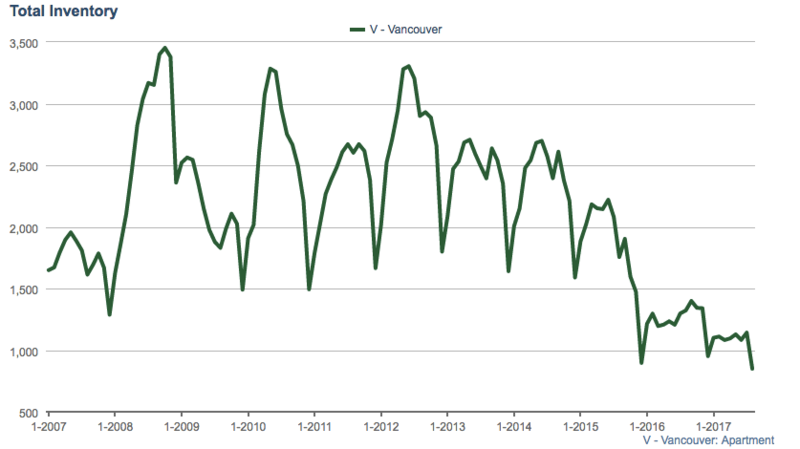 Vancouver condo new listings fell 8% year over year, and were 14% below the ten year average. This is definitely not helping replenish already historically low inventory levels. 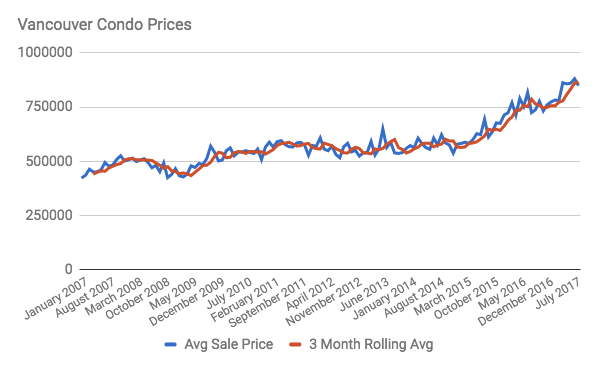 The biggest issue lies in overall inventory levels which continue to trend lower. Inventory fell 35% year over year. The average sales price hit $849,325 in August, which is up 17% year over year. 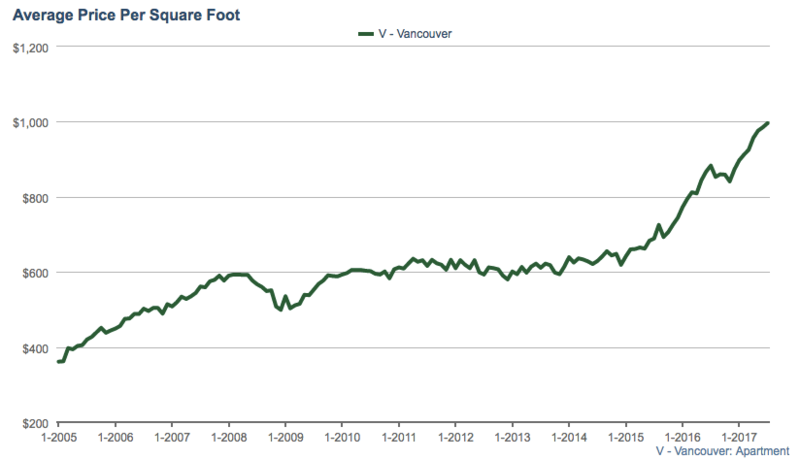 The price per square foot for Vancouver condos increased to $1012, up 19% year over year. Click Here To Access Price Per Square Foot By Area. Troubled by low inventory we continue to see aggressive multiple offer situations, which is leading to continued price acceleration month over month. The sales to actives ratio still sits at a whopping 65% which is indicative of a hot sellers market. With sales trending above the ten year average and inventory at historic lows, it’s hard to see conditions changing much in the short term, although the sustainability of this excessive price growth should be questioned.